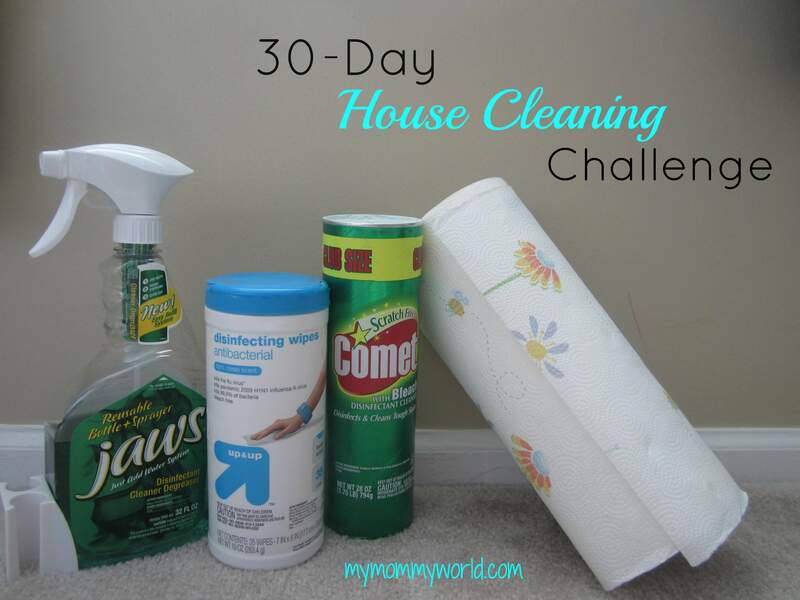 I’m finally caught up with the 30-Day House Cleaning Challenge over at Money Saving Mom! Yea! 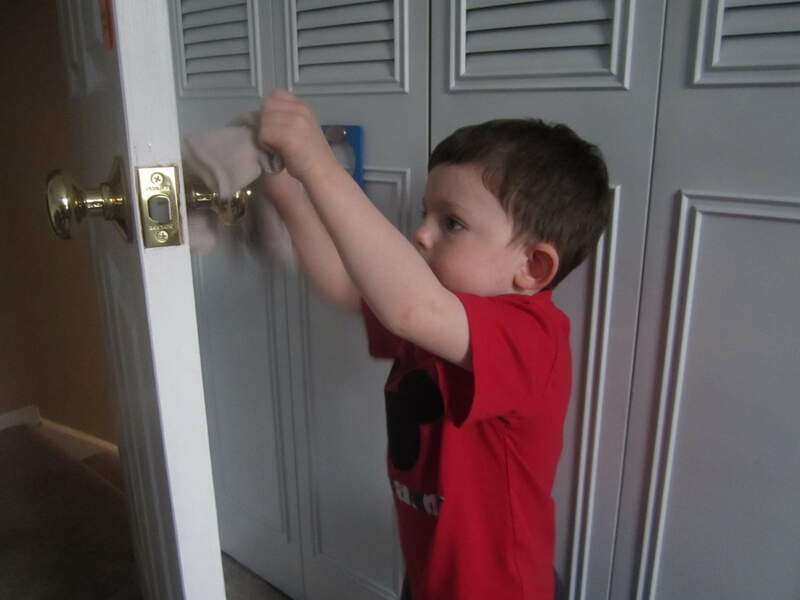 Today I completed projects 16 and 17: deep cleaning a bathroom and cleaning the light switch plates and doorknobs, and I used the second one to teach my kids a money lesson. I offered the kids extra “commission” this week (any Dave Ramsey fans out there?) if they would clean the light switch plates and doorknobs. They eagerly got to work scrubbing. About halfway through, my little boy decided that he was “too tired” to finish his work, so his sister offered to finish for him. She earned half of his extra commission, and learned, I hope, that extra work pays off. 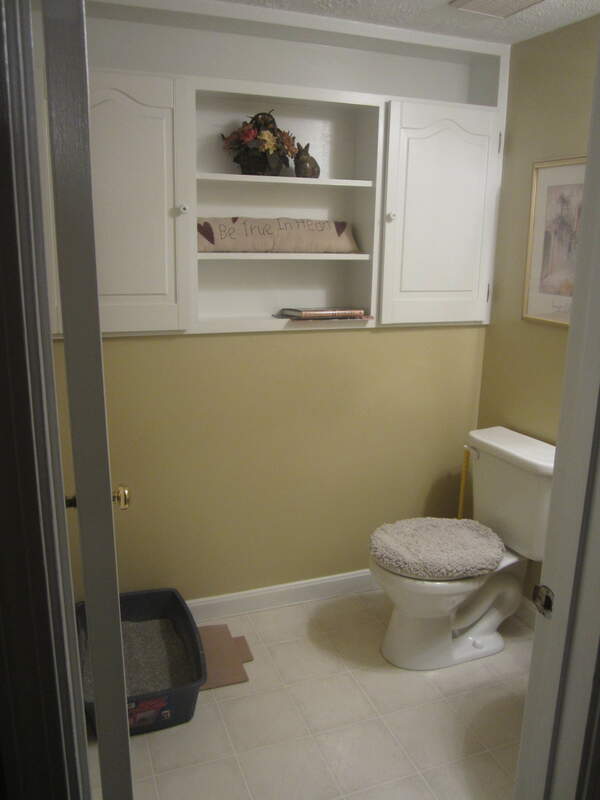 For the bathroom project, I decided to deep clean the extra bathroom that houses our cat’s litter box. 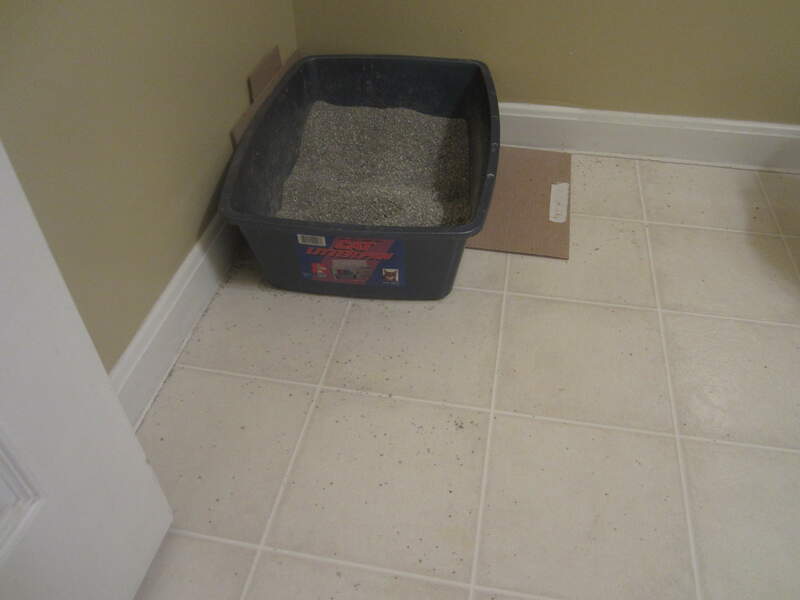 This bathroom doesn’t get used very much, since cat litter is perpetually all over the floor, no matter how often I clean it up. 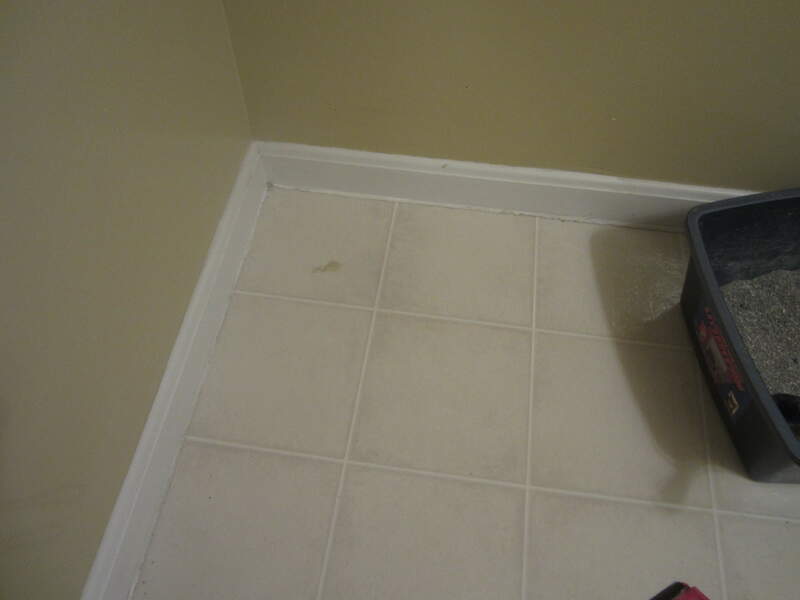 I swept up the litter and cleaned under the box (I keep a piece of cardboard under the box because our cat sometimes sprays over the top and I don’t want it to damage the baseboard). I also cleaned the baseboards, since they were dusty from the litter. It feels good to be all caught up with the challenge and have fingerprint-free doorknobs 🙂 Did you do any cleaning today? I cleaned the light switch covers and door handles today — and they were surprisingly pretty dirty! yuck! How nice for you to have little helpers (even if they were only motivated by commission:) ). I’m loving your bathroom cabinets – they are beautiful! 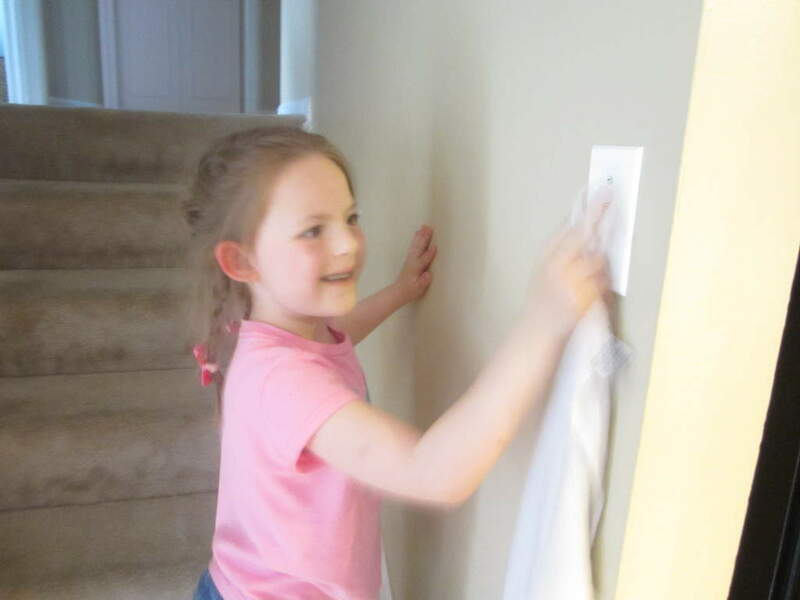 I was able to get the kids to help with the light switches too. They was more dirt on them then it appeared at first glance. We also wiped down the phones and the hand rails going upstairs and down.